Chris Marshall is a Locally Ordained Minister who, together with husband Alex have moved into the area and become very active in the life and worship of both Budock and Mawnan Churches. 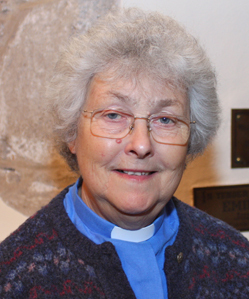 Christine has a regular slot at Sunday Evensong and also helps out at midweek Eucharist. They were both instrumental in setting up and running the recent ‘Just 10’ course at Tremough campus which was very successful.